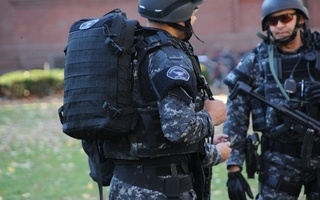 One week after an unfounded bomb scare in and around Harvard Yard halted some University activities for five hours, police are still investigating the source of the threat. The investigation into the origin of the emailed threat is still “active and ongoing,” according to Harvard University Police Department spokesperson Steven G. Catalano. 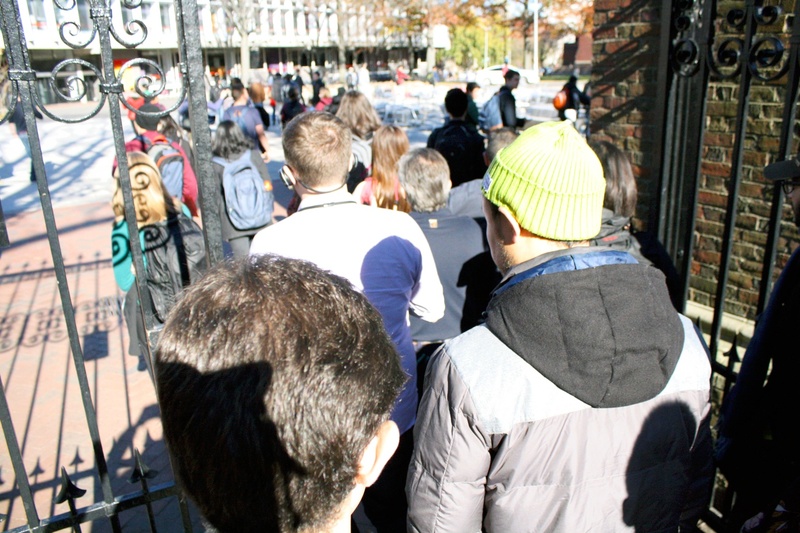 Students stream out of Harvard Yard as police respond to an unconfirmed bomb threat last Monday afternoon. 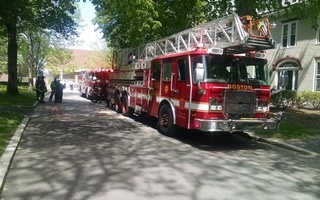 Last Monday, in a scene similar to an incident two years ago, four Harvard buildings were evacuated and searched after Harvard Police received a report of a bomb threat. 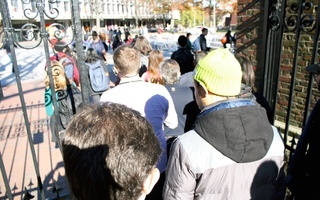 The evacuation prompted police to restrict access to Harvard Yard, subsequently interrupting or canceling some classes. Law enforcement deemed all locations safe after local and federal agencies conducted an extensive search of the buildings. Days after the threat, a Crimson reporter received a cryptic email entitled “Harvard Bombing Confession” from an unidentified sender who claimed to be involved in the bomb scare. The sender also threatened action if The Crimson did not publish the email. 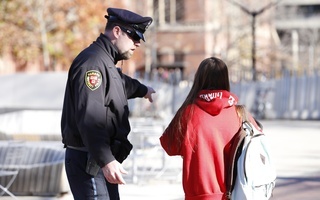 Police later delivered a subpoena to The Crimson requiring it to turn over a “narrow” span of traffic logs to its website, though it remains unclear whether the subpoena relates to the bomb threat. Crimson President Steven S. Lee ’16 complied with the subpoena but declined to share its contents.